The trending tech of the social media is YouTube. Everyone can launch the route for a career through YouTube. Mostly to attain the attention of the teens and homemakers most of the YouTubers are thinking to establish the final web series with creative thoughts. YouTube Web Series makes them spend much time to watch enthusiastically. But if you don’t have the basic knowledge to promote Youtube web series then it will be a waste of making extraordinary episodes. When you are planning to launch the web series just consider the time of situation to present. Release of trailers with highly highlighted scenes by targeting the preferences of the audience. Make amendments that the actors of the web series are most popular through their individual channels this could be an advantage of getting more traffic. Put concentration on making the excellent screenplay and background music. Choose the theme by focusing on the current trend that should be well known to the public. Go on doing cross promotions like getting the favor of other YouTubers to initiate about your web series. So that the followers of those channels are could be announced about your series. Try to release the suspense and thrilling scenes of the web series before coming to the channel. Don’t neglect to celebrate the event of the new episodes and award functions by gathering all actors at one place and give live streaming for that occasion. Release the scenes behind the screen on YouTube. This will be a more attractable thing for the audience to watch the real extracts. Place the special and personal videos of the actors who acted in that web series. Try to record the videos of the argument that have occurred between the famous figures of that web series and place in YouTube channel. This completely goes viral and makes attention towards your web series. 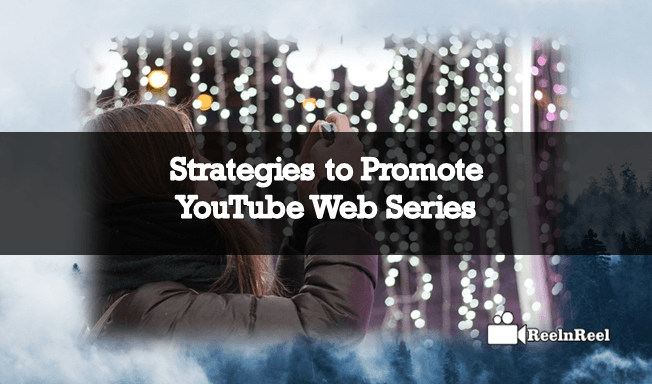 Cope up with the other popular YouTube stars and go on making the discussion about your web series. They might probably upload this video on their channel as they involved. This could be the best option to catch up the fans. Choose the option of advertising on the main page of the YouTube by spending some extra budget than normal. Use the top social media platforms like Facebook and Twitter to upload the promos where you can find the huge response from the public. Make sure to generate the eye-striking photographs of the leading characters into your page on Facebook. Just boost up the actors of that web series to promote it with tremendous performance. Pick the small screen to update the news about the coming web series and as a commercial ad in their telecasting programs. Get in touch with the popular magazines to explore the trend of web series. Keep in mind to use the branded vehicles or TV channels of large companies and inform them to reveal about it along with their ads. As you introduce that then it could be helpful them to establish their branding throughout the world. So they could give some offerings to get sponsorship. If you are intended to take YouTube web series by clubbing millions of audience just follow these flow of strategies to promote successfully. All these are really helpful to build the strong promotion skills that make you never look back to bother about the victory.